It’s National Cupcake Week, what more can I say it’s a Jenny baking fest going on here in the Let’s Talk Mommy household. This week I tend to whip up more cupcakes than are necessary and trying out various flavors and piping styles. I am the queen of cupcakes or I like to be known as that and if there is an occasion to celebrate I am bound to be bringing some kind of cupcake with me. I have been trying to get better at my decorating skills which is still in progress but practice makes perfect right? It was recently my friend Morgana’s birthday and I wanted to try to make her favorite Lemon Meringue pie into a cupcake. I know it’s not new many have done this before but I love anything with lemon and a challenge. Let’s face it meringue is very challenging indeed. I will openly admit that I made three whole batches of cupcakes before I got this recipe how I liked it and wanted it. Failure only makes us try harder right? I love a good surprise filling inside a cupcake. You never know what I might fill my cupcakes with and that’s the fun of it. 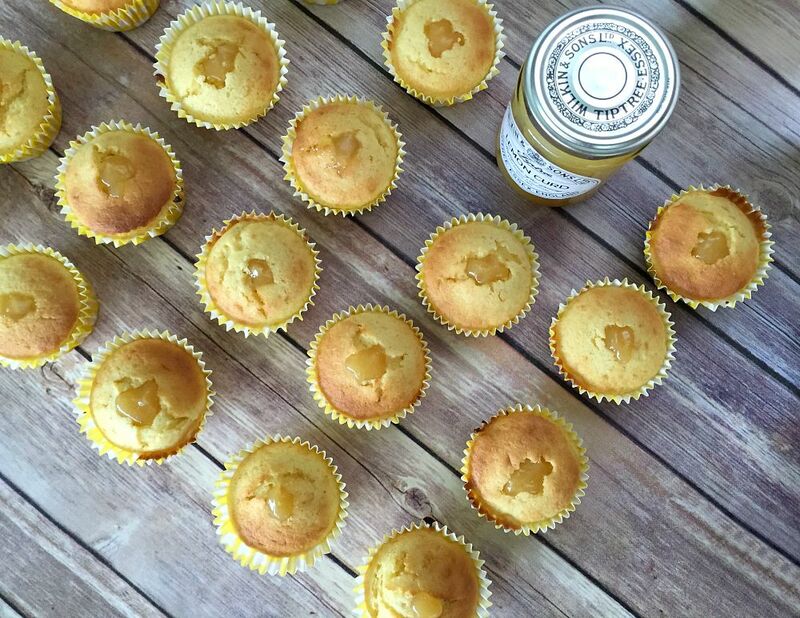 Lemon curd is lip smacking delicious to me so when I make lemon cupcakes I like to use lemon curd for that zesty, tangy sweetness in the middle. 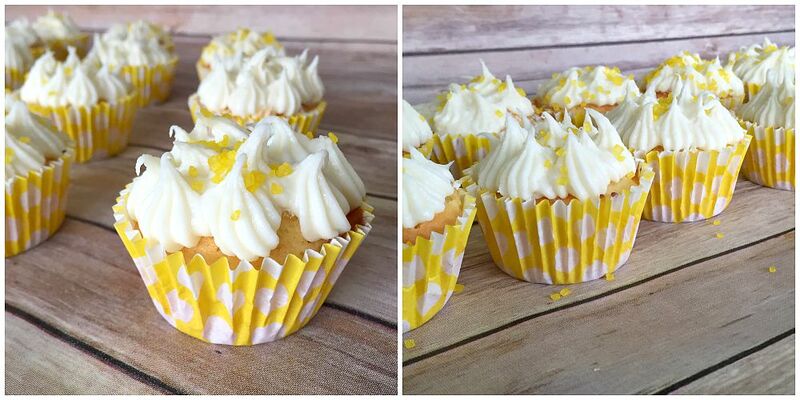 I used my Oxo Good Grips decorating bottle kit to pipe my lemon curd right into the center of these fluffy cupcakes. It makes it mess free and really easy to do in seconds. I would always recommend piping your cupcake fillings in instead of using a spoon. It just gets complicated. The beauty of this is you can waste and reuse it for the piping on top of the cupcake too. Win-win. No bags to wash, dry and hope there are no leaks to mess around with. I tend to squeeze my piping bags really hard and they always burst on me. Heavy handed I know. So the Oxo Good Grips silicone decorating bottle is perfect for little projects like this that you can easily wash quickly and use for the next step. I love the various style tips it comes with to get creative with your toppings in just one little twist and switch of a tip. I also used the Oxo Good Grips measuring spoon set. Baking is so much faster and easier when you have good quality tools to rely on and use. I have always had a mix of measuring spoons and they get thrown in the drawer and lost forever after washing. A set never stays a set for me. I love these because you can separate them for easy washing and using while you bake and snap them together to store and keep them all together. It even comes with a leveller to scrap off the top so you get a perfect measurement every time. I made two sets of different cupcakes for my lemon celebrations for National Cupcake Week and my friend’s birthday. 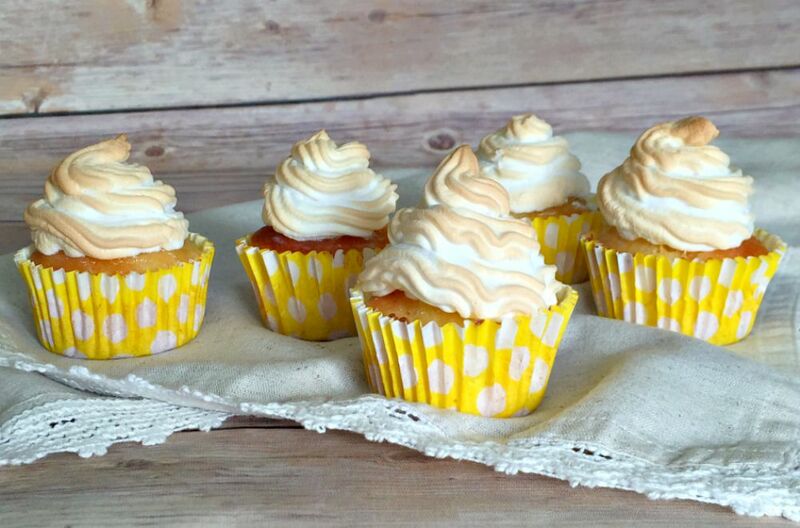 Below I used a vanilla frosting and piped it onto my zesty lemon curd filled cupcake for a sweeter taste and still the same great meringue looking peaks. 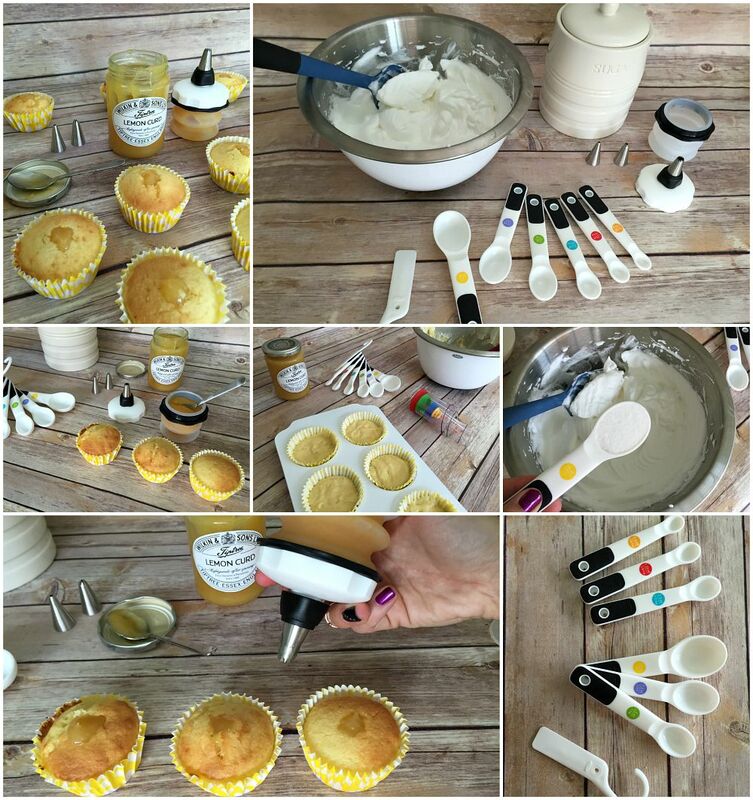 I used the same decorating bottle kit I did for the filling so it was really easy and quick to pipe on and sprinkle with some lemon sprinkles to finish it off. 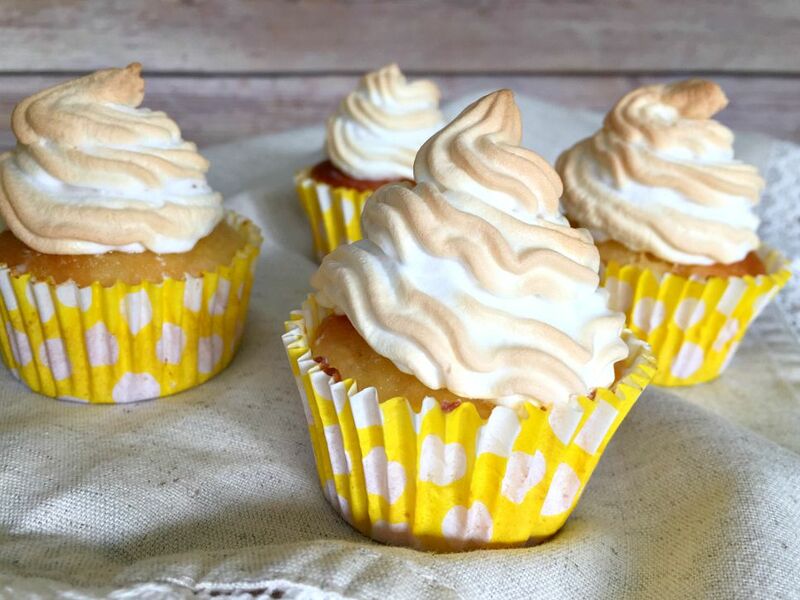 Immediately place cupcakes in oven at 180 C/ 350 F for 4-5 minutes until meringue turns brown or alternatively use a blow torch to scorch the the peaks on top. For those that prefer frosting to meringue topping pipe vanilla frosting in the shape of mini meringue peaks for the same great look and effect but a different taste. Then came the challenge of the meringue. The first round it came out foamy and didn’t bake well at all. It was just a sticky mess. I think I left it too long in the bowl before piping and baking it. Also, don’t think I added the sugar slow enough or ensured all those sugar granulates were blended in. The second time around I had the kids home with me and burnt all the meringue on top. Oops, but third time’s a charm they say. They came out golden brown, piped beautifully and so delicious. My mother-in-law was grateful to be my tester too. I put mine in the oven but I think a blow torch would give it that defined burnt peak look the magazines accomplish if you are styling it for a party. You can pipe the meringue in little peaks as I did above with the frosting or in swirls like I did below. You have endless options for your design. Why not pin this recipe to your Pinterest board for later? If you test it out I would love to hear what you thought and how you got on, tweet me a photo of it and I will be sure to re-share. 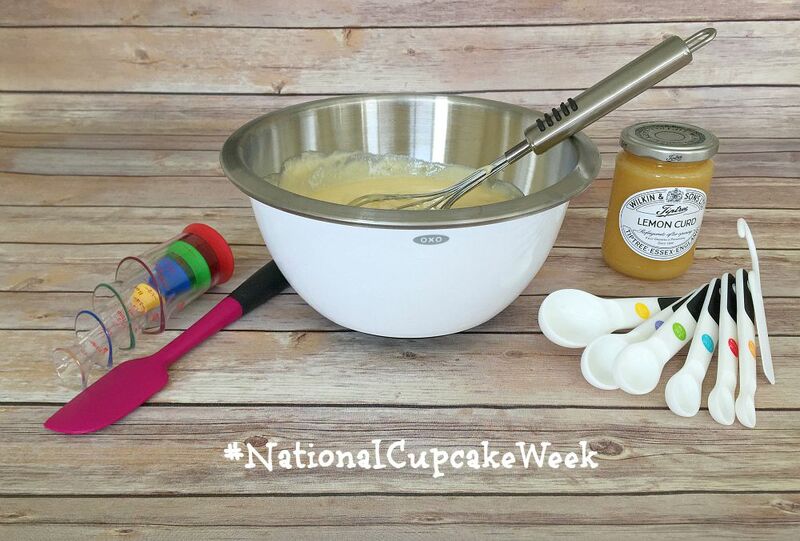 Either way, enjoy National Cupcake Week and get baking. Try my other cupcake recipes like these delicious Dark Chocolate Cupcakes with Almond Hershey Buttercream frosting. Ohh yum! They look so good! I am quite tempted to make them myself now!! Wow they look amazing Jenny and bet Morgana loved them 🙂 I really need to try them!! Oh yes I will have to whip you up a batch on our make up coffee date I owe you…. it’s been forever lovely. It is a challenge and a blow torch that you use for creme brulee actually works better to toast the top but otherwise they are delicious and so amazing. 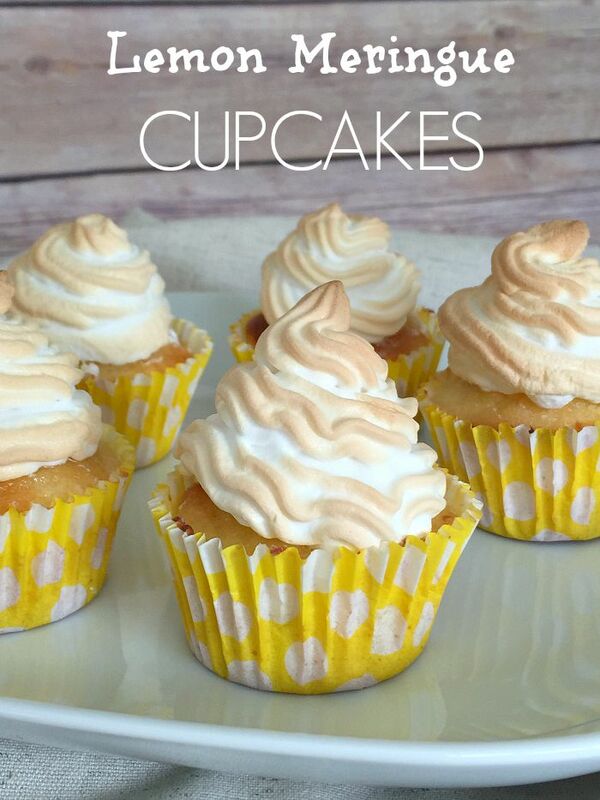 It’s like eating a lemon meringue pie.